Show of hands: Who here finds getting small children dressed and out the door in the morning a leisurely and pleasurable experience? Create a visual aid to illustrate the morning routine. Research suggests that individuals with Down syndrome learn more effectively when information is presented visually: with pictures, objects, or gestures. (Source) In a previous post on behavior, we addressed how defiant or stubborn behavior may just be the child's way of communicating "Whoa! I don't understand what's going on and I don't like the feeling of being rushed. I'm confused and uncomfortable with this!" (To read that post, click HERE). 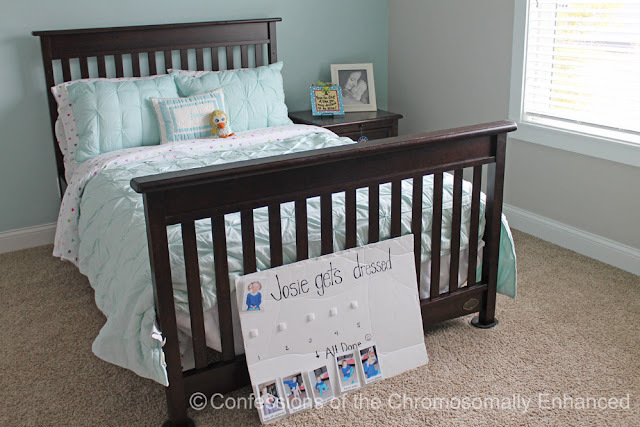 One way we can make a child with Down syndrome more comfortable, and ideally minimize negative behaviors in the process, is to create a routine and to add a visual aid. 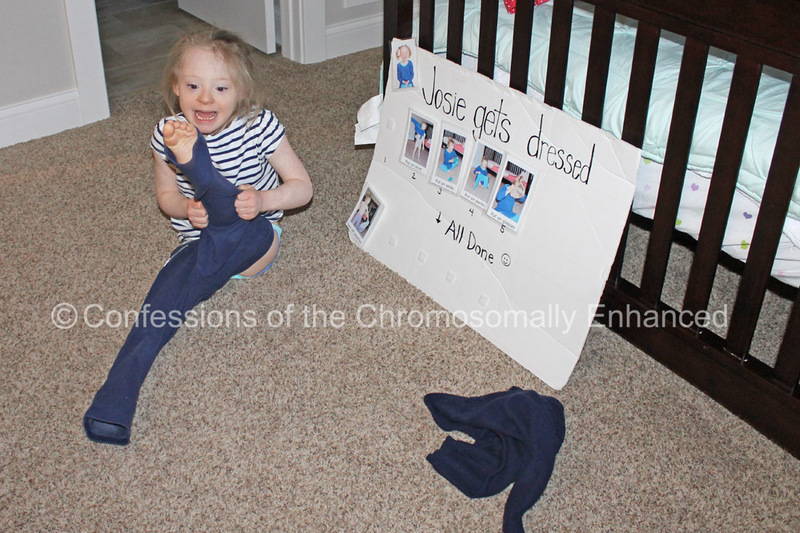 Back in 2015, CCE had a post entitled "Simple Secrets to Helping a Child with Down Syndrome Achieve Therapy Goals" where Josie was pictured with her "Josie Gets Dressed" chart. We have since retired the chart because Josie no longer needs the visual breakdown of the steps to ensure that she gets dressed properly. So I shoved it behind her dresser. BUT, sometimes when a routine is thrown out of whack by say, a daylight savings time change or Spring Break, it helps to go back to the basics and have a refresher course so that we can get back on track. 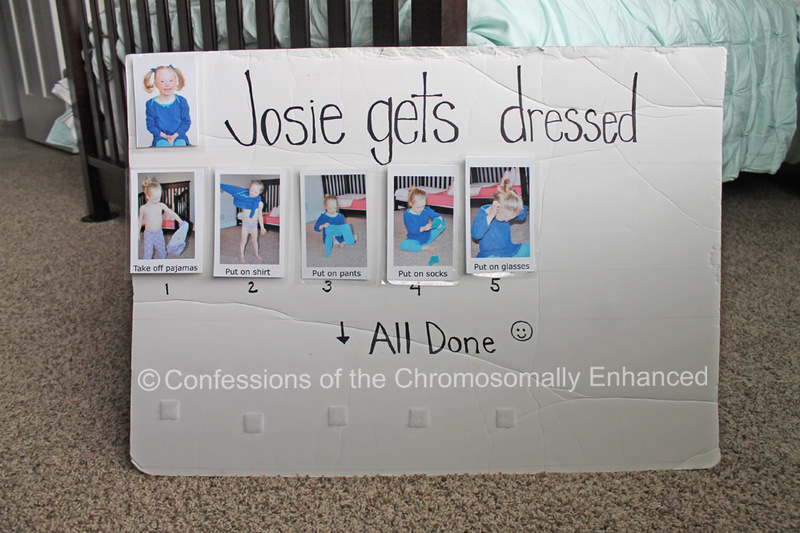 Hence, we're revisiting the "Josie gets dressed" chart. This chart was very simple to make. I tried to use as few steps as possible so I didn't overwhelm Josie. I numbered them in the order that she should complete them. Once each step is completed, she moves the picture down to the "All Done" box. She finds this process of moving the pictures very gratifying. Now, I have always been a huge fan of the visual aid. Throughout Josie's youth, I've made too many visual aids to count. 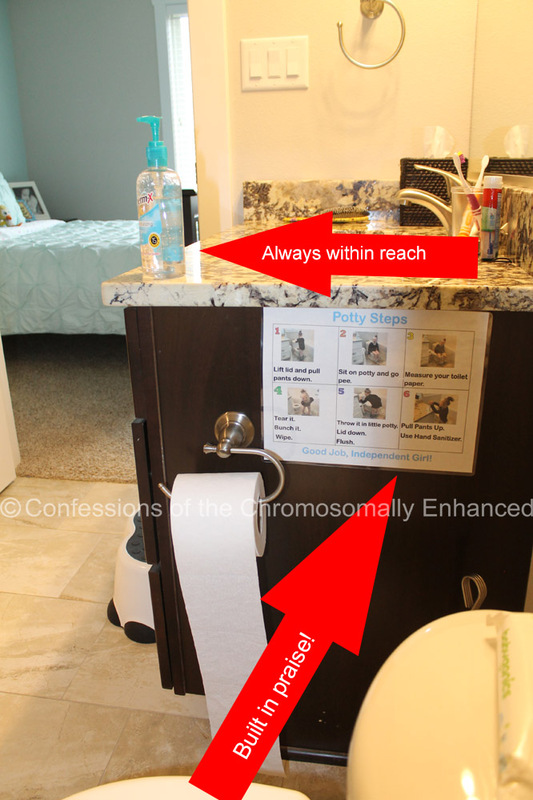 But I never truly experienced the MAGIC of a visual aid until I made one for using the toilet. This simple little chart was a GAME CHANGER in terms of Josie's independence with toileting. I have one posted in the playroom bathroom, and one in the bathroom that adjoins Josie's room. Since creating this chart, Josie's independence has soared and she takes great pride in handling restroom trips without prompting or help. In fact, you'll hear her yell, "Good job, Independent Girl!!!" from across the house and you know she's successfully relieved herself. The built in praise is always a good idea when it comes to visuals! And to all of my technology averse friends out there, this part is for you: You don't need impressive computer skills. You don't need to be a genius photographer. You can draw a chart. CLICK HERE to see how Mama Hop makes charts. So you're not an artist. The child doesn't care. Josie loves a good singalong. She could care less if your singing sounds like a cat howling in a rain storm. So pick up a pencil and do your best. Oh and the fancy camera part - highly unnecessary. You can take pictures with your phone. Even if you don't know how to get the picture off of your phone, here's what you do: You go to Walgreens, Costco, or any place that develops photos and you hand the photo lab employee your phone. 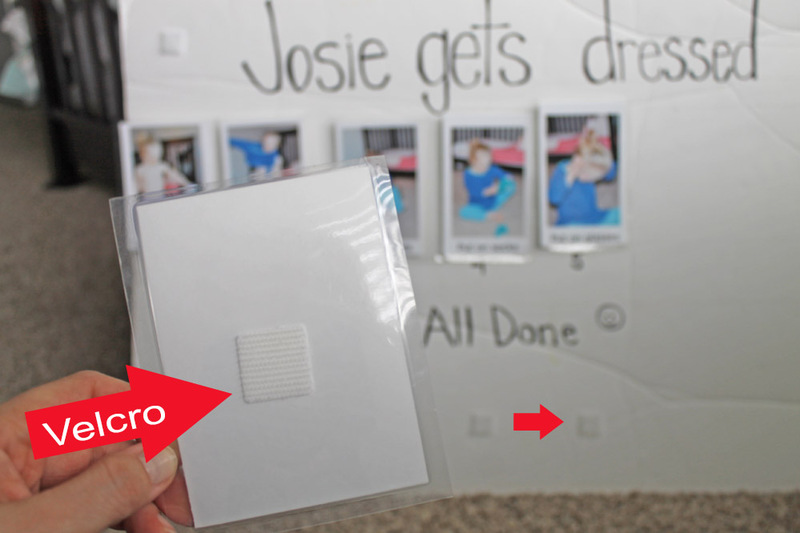 They can retrieve the photos and print them for you. True story - I confirmed it! One more embarrassingly simple tip: Google it! 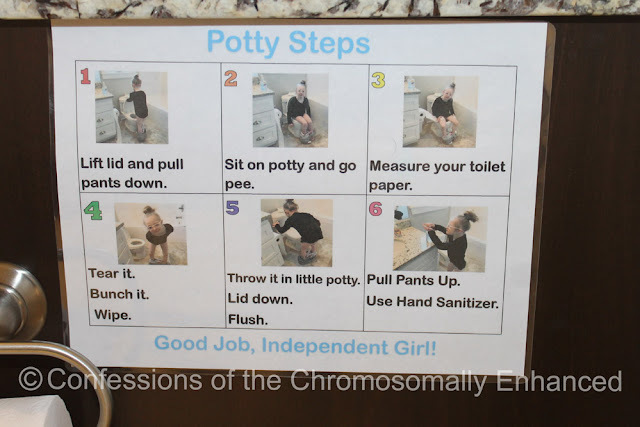 So you're not an artist and you're not a techie but you need a visual aid to help your child learn to use the restroom. Google: "Visual Aid for Toileting." Click on the "Images" tab and print! One last thing: While this blog tends to address Down syndrome, as that's what we deal in around here, the visual aid can be a helpful tool for ANY child with ANY diagnosis or lack thereof. The way I see it, it can't hurt. So try it! 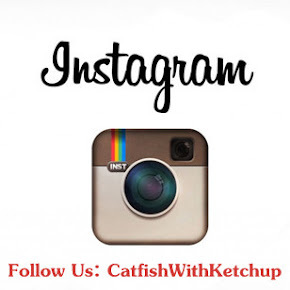 Please leave any additional ideas or success stories in the comments below.